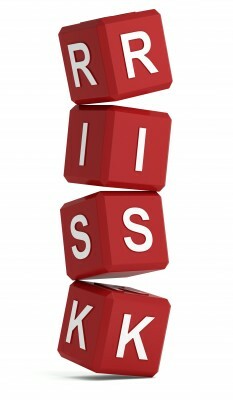 « How will these 3 financial surprises affect you? 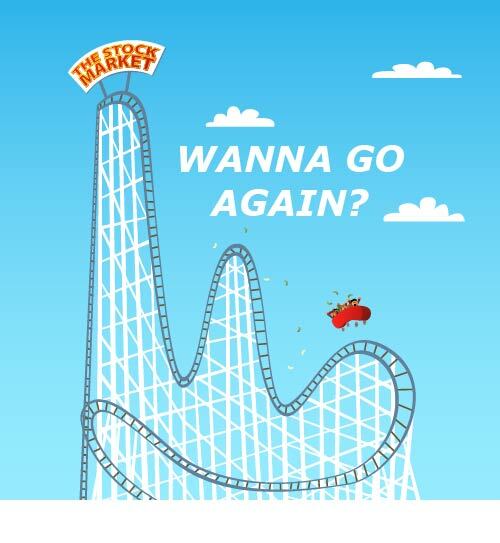 What would you consider to be a minimum acceptable annual return on your money for taking on the nerve-wracking risk and volatility of the stock market? 5%? 7%? Maybe even 10%? Over the past two years, we surveyed tens of thousands of people about this, and most responded that they wouldn’t consider risking their money in the market unless they could get a 7% or more annual return. We’ve been tracking this data since 2010, and even though the Dow has soared to new heights in recent days, investors are still falling behind. Are you curious how we calculated this? The Dow first closed above 11,000 on May 3, 1999. Between then and March 31, 2013 (the latest date for which figures are available), we’ve had just over 40% inflation, according to the government’s key inflation barometer. Of course, there are many who say the government’s numbers way underestimate the real inflation rate. You may have experienced that yourself, as you’ve watched the prices skyrocket on many things you buy regularly. Regardless of which inflation numbers you believe are correct, you know that inflation takes a real bite out of the purchasing power of your dollars. For the record, as others have pointed out, if you only wanted to keep even with inflation since May, 1999 – 14 years ago – the Dow would have to be at 15,427.17 today. That’s when we’d be at a “true,” rather than a “nominal” high. But we’re still not there. What if you didn’t care about the spending power of your dollars and you just wanted a 5% return since May 1999? You’d need a Dow of 22,899 today, which would require a more than 50% increase from where it is now! So let me ask you again – how long do you think it will take the Dow to hit 32,000 – or even just 22,000 – and STAY at that level or higher? But wait! It gets worse – these numbers don’t even take into account any investment or retirement account fees or taxes, all of which will take another huge bite out of your nest egg. Request your FREE Analysis and find out why Bank On Yourself may be the best way to invest for safely, liquidity, flexibility, control and tax advantages! Does Warren Buffett Know Something You Don’t? Risk On! As far as I can tell, for most people, the lessons learned from the Great Recession were fleeting. But the more important question is – what lasting lessons did you learn from the financial crisis? Take this quick survey and share your biggest takeaway with us! 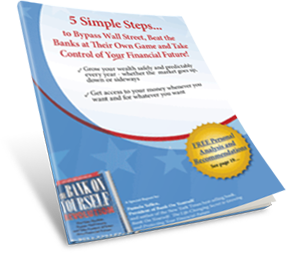 You can bypass Wall Street and beat the banks at their own game when you Bank On Yourself. Request your free Analysis (if you haven’t already) and find out how big your nest egg could grow – guaranteed – if you added the Bank On Yourself method to your financial plan. You have nothing to lose… and a world of financial peace of mind to gain.